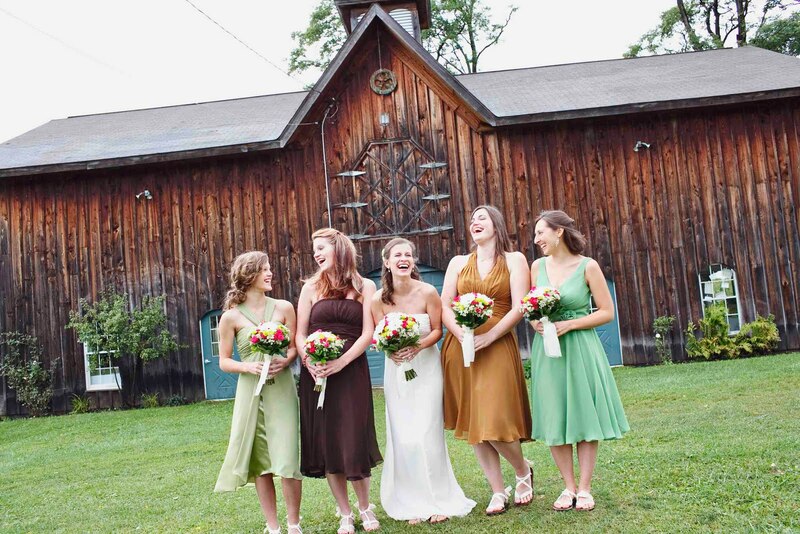 Today we are featuring Rachel's wedding which took place at the picturesque Plumbush Bed and Breakfast in Mayville, NY. 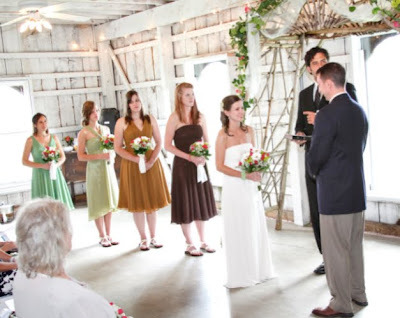 It rained all morning so the originally planned outside ceremony had to be moved indoors. 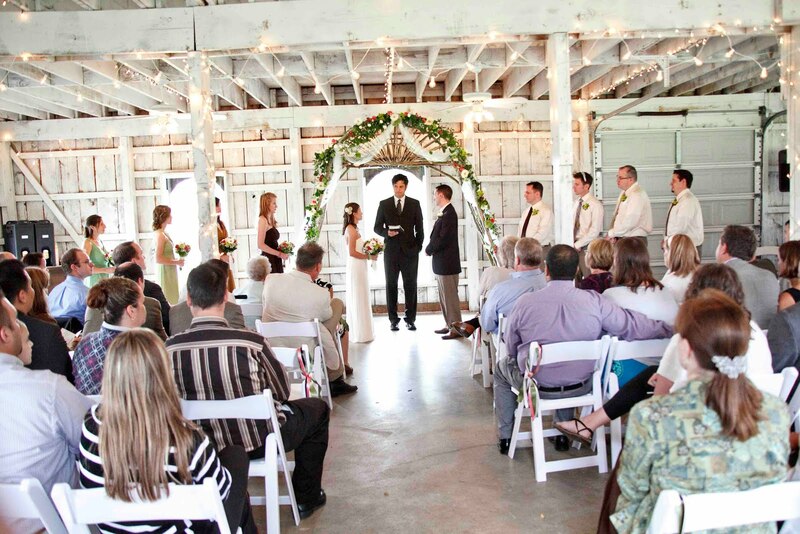 But the turn of the century barn was a charming back-up option in our opinion! For her wedding dress, Rachel wore Dessy Collection Style 2845 in Ivory. We can't say enough how a lot of bridesmaid dresses work as the perfect bridal gown for those looking for a more casual or simple look. 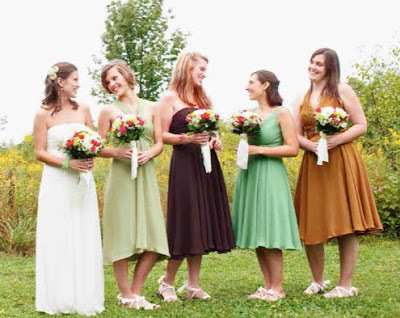 Rachel's bridesmaids wore mixed chiffon styles and colors by Landa Designs. 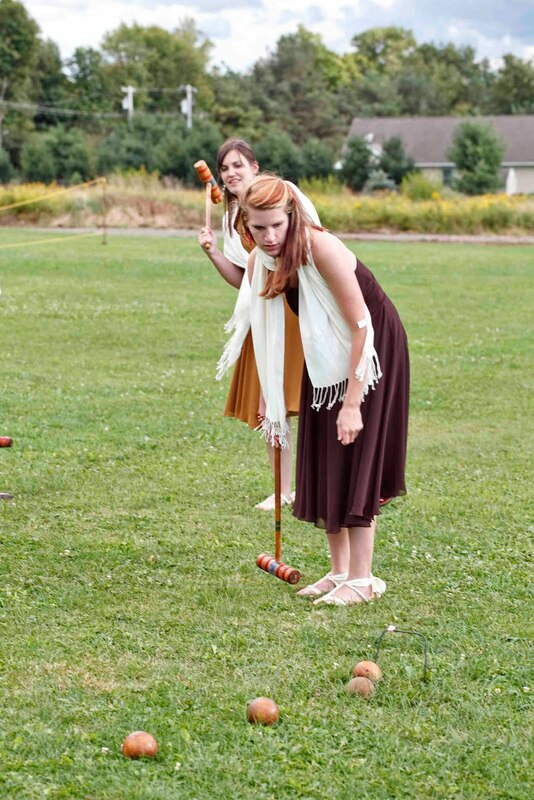 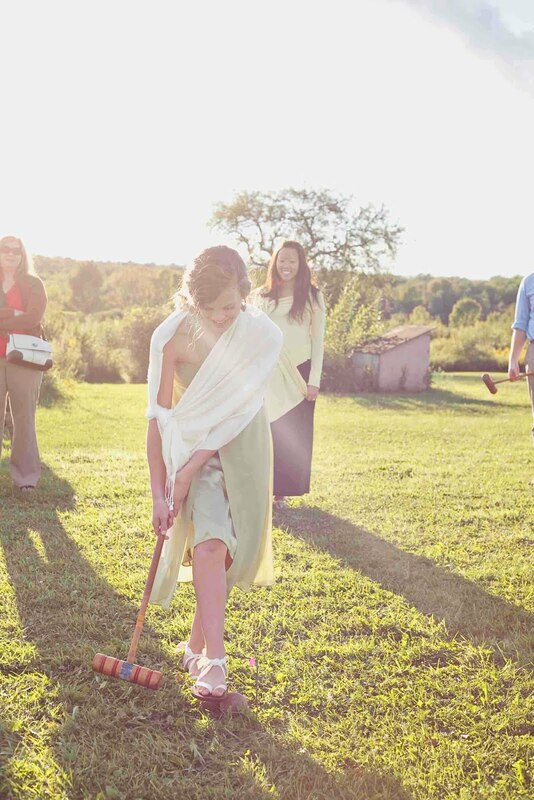 Luckily, the sun came out during the reception so that guests could enjoy the large field, lawn games, and a bonfire. 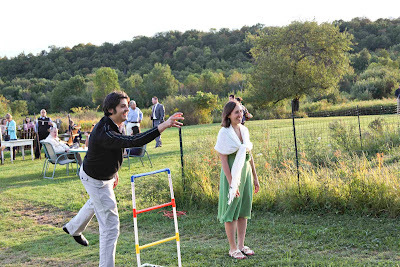 What a perfect wedding to truly relax and have fun with family and friends. Congrats Rachel! 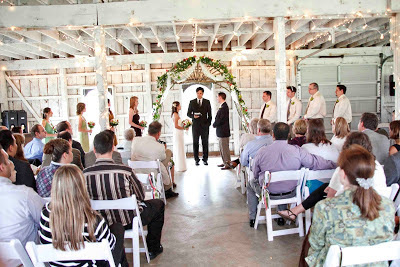 Wishing you and your husband many years of happiness together!